We’ve crunched the numbers of almost 120,000 Real MPG fuel reports to uncover the best and worst car manufacturers for real world economy. These are the car makers whose models come closest to the official figures in real world driving. According to Real MPG users, Subaru has the most honest official fuel economy figures of any manufacturer. In fairness, there are no bold claims from Subaru – none of its models is exceptionally economical – but at least you can trust the numbers in the brochure. I can vouch for Subaru's realistic fuel figures (I've had three, and hope to get a fourth in a couple of years time). 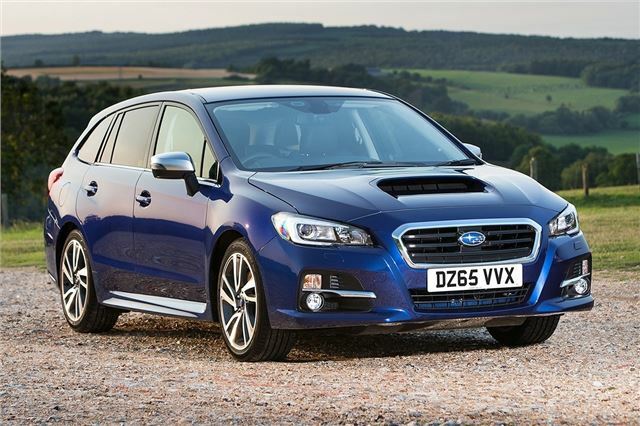 In fact, I hope to get a Levorg, in the same colour Mapis Blue as the one above in the photograph. Mind you, as the article states, the bar isn't set too high to begin with. It seems that the MG3 fuel consumption suffers most (with a cast iron block that takes a long time to warm up!) when the car is used mostly for short journeys. Which given the market aim for this car, is what most probably do! We find that on longer journeys it's 40+ and much better. It does seem that the downsized current engines aren't as economical as we are told!